Isas i Jaco, Costa Rica: Reservér nu! A hostel with a 3 units divided in 3 rooms each one. 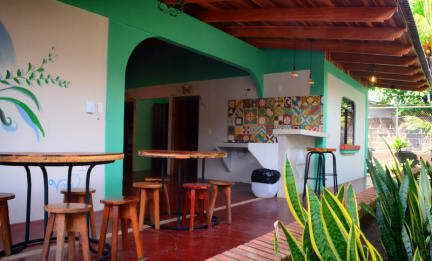 All the rooms has a unique theme like Costa Rican biodiversity, Costa Rican history, and famous Costa Rican places. 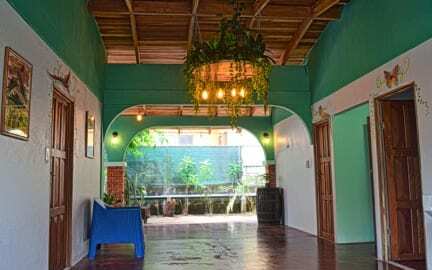 The hostel is part of the propriety of Zabamar Hotel, and it has a free access to all the common areas of the hotel likes swimming pool, beach entrance, parking, restaurant, laundry and more. We are located in one of the best location of the city, near to the most attractions of the city such as the beach, Croc's Casino Resort as well as close to other attractions and services of Jacó like supermarket, restaurants, principal shopping centers, souvenirs shops and places to party. All the rooms has air-conditioning, 8 o 10 wood bunk beds, each bed has a reading light and plug and all the lockers inside the rooms. In addition, we have several common areas where the guests and travellers con get together and exchange past experiences and future plans.